Another exciting cleat from Adidas Football. Building on the success of the Yeezy cleats, Adidas is turning another of its most popular models into a football-ready silhouette. 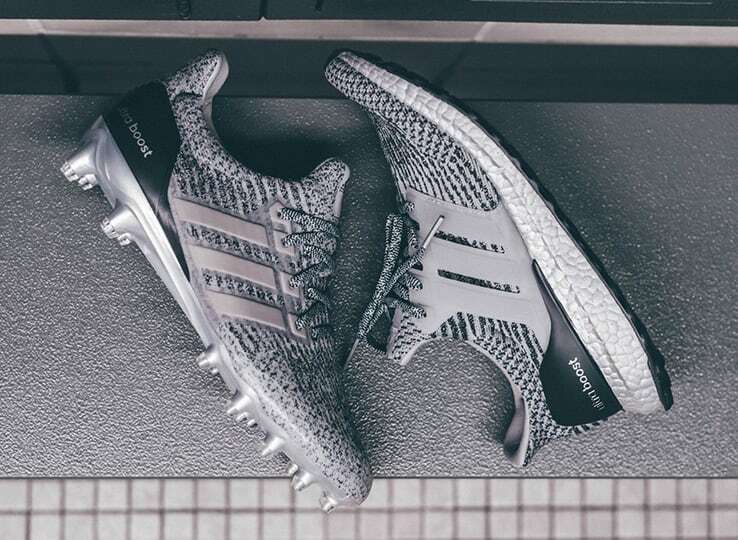 On Tuesday, the brand unveiled the Adidas Ultra Boost Cleat, a limited edition silver style debuted alongside a similarly colored Ultra Boost runner with silver Boost cushioning. While the namesake tech in the Ultra Boost Cleat isn't as visible as in the standard Ultra Boost, the model does have a Boost sockliner on the inside. The cleat also brings over the Primeknit upper and three stripe support cage. 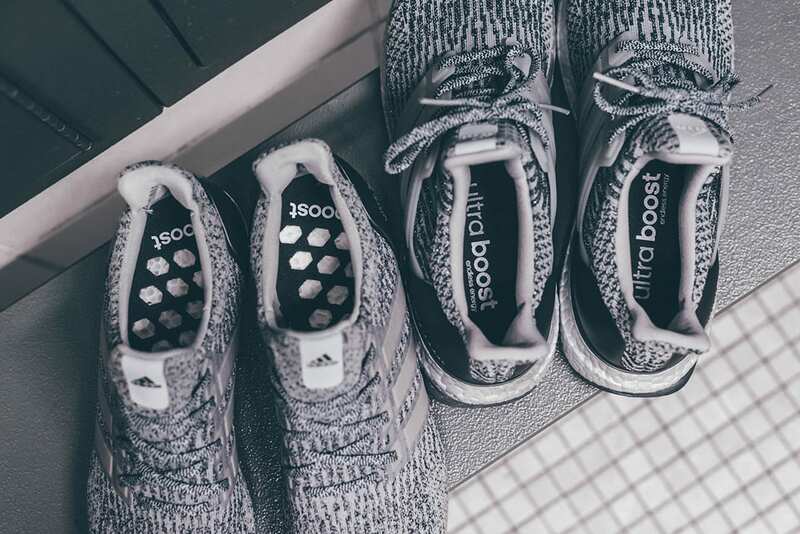 For now, Adidas isn't saying whether it plans to release either of these pairs. That being said, the brand did bring Yeezy cleats to retail, so there's a precedent for this sort of transitional footwear becoming retail reality. UPDATE 2/1: Adidas will sell these two silver Ultra Boosts during Super Bowl LI on Sunday, Feb. 5. The limited edition cleats and sneakers will be available at the start of halftime. UPDATE 1/24: Adidas has confirmed on Twitter that these pairs will be releasing soon. Introducing the Silver Pack, ft. the new #UltraBOOST Cleat and #UltraBOOST 3.0 with silver BOOST.